Signature Sonoma Valley offers unprecedented access to the Vintners & Growers at the forefront of this world-class wine region. Here are some of the legendary taste-makers whose company –and wines– you will be enjoying at this most intimate event. Richard Lee Arrowood was born in San Francisco and raised in Santa Rosa, California, in the heart of Sonoma County. He began his winemaking career in 1965, working at Korbel Champagne Cellars while attending college. He earned a B.A. in organic chemistry at California State University, Sacramento, and completed graduate work in enology at California State University, Fresno. From Korbel, he moved first to United Vintners and then to Sonoma Vineyards, where he worked for Rodney Strong and further developed his appreciation for the potential of single vineyard sites. In 1974 the founders of Chateau St. Jean chose Richard as their first employee and winemaster. Within a few years, Richard had gained critical acclaim and a worldwide reputation for his wines. He produced vineyard-designate Cabernet Sauvignon, Zinfandel, Chardonnay, Fumé Blanc, Johannisberg Riesling, and Gewürztraminer bottlings in unprecedented numbers: from the 1980 vintage, the winery marketed nine single-vineyard Chardonnays from within Sonoma County. By producing numerous small-lot, single-vineyard wines, Richard successfully demonstrated the significance of site—of terroir. Using virtually identical winemaking techniques for a given varietal, he showed that the differences in the resulting wines came from the vineyard, not the cellar. It was a revolutionary accomplishment. Richard received perhaps his greatest accolades for botrytis-affected late harvest wines, which rivaled even the great Trockenbeerenauslesen in richness and intensity. In 1981 Richard met Alis Demers at the first California Wine Experience in San Francisco. They started dating and were married in 1985. In the same year, they created another partnership and began the plans for building Arrowood Vineyards & Winery. Richard remained at Chateau St. Jean as executive vice president/winemaster until joining Alis at Arrowood full-time in 1990. Together they created a highly acclaimed prestige brand, which Robert Mondavi Corp. purchased in 2000. Richard and Alis stayed on, but after Constellation Brands purchased Mondavi in 2004 and subsequently sold Arrowood in 2005 to the (now bankrupt) Legacy Estate Group, Richard and Alis began Amapola Creek Winery. Jackson Family Wines acquired Arrowood Vineyards & Winery through the bankruptcy court in September 2006. Richard continued as winemaster there until June 2010, when he left to devote his energies full-time to Amapola Creek Vineyards and Winery. Look around for photos of Three Sticks Wines’ Chief Operating Officer Prema Behan: you’ll be hard pressed to find one in which she’s not open-mouthed smiling or laughing. To put it mildly, Behan, who’s first name (Prema) translates from Sanskrit to mean “giver of love,” is a joy to be around. Behan began working for Three Sticks Wines founder Bill Price III in 2000 in an administrative position at Texas Pacific Group (TPG). She soon found herself working closely with Price, his family, and TPG’s Director of Operations. Her work there doubled as business school: she witnessed TPG’s rapid growth and global expansion, as well as from her experience closely assisting Price in his pursuits. Behan became an essential part of Price’s team, and began helping manage his winery operations. She has been involved in Three Sticks Wines from its founding, and has built relationships with every member of the winery’s allocation list as it grew from Price’s friends and family to include a growing number of Pinot-savvy consumers. “Bill [Price] is one of the most exciting and interesting human beings to be around,” says Behan. “To me, Three Sticks Wines is really the essence of him, from his love of the land to his relentless pursuit of excellence. So it’s an enormous honor to get to run it,” she adds. While Behan notes that she wouldn’t be in the wine industry if it hadn’t been for Price, hospitality comes naturally to her. Raised in Marin by her mother, a GM of restaurants, and her stepfather, an executive chef, she learned early on that hard work and fun don’t necessarily have to be mutually exclusive. Behan was involved in the design and creation of Price’s other independent wine brands: Lutum Wines – a boutique Pinot and Chardonnay winery in Santa Barbara with Gavin Chanin and Head High – a lifestyle brand built with Sam Spencer to make delicious wines for adventure lovers. “I believe in authenticity, in balance, and inspiring those around you to perform to their absolute best,” she says. “It really is my goal to have our team fulfilling their jobs via their skills and talents and loving what they do. That will equal our success,” she adds. The Sonoma resident and busy mother of two (she has a 19-year-old and a 5-year-old son) is on the board of the Sonoma League for Historic Preservation as the Vice President, and recently completed the California State University Sonoma’s Executive MBA program (with Honors!). Carneros region, Bertran is an ideal leader at Gloria Ferrer. Having left her native Spain in 1986 — where her own family was in the wine business — she is a member of the original team that launched Gloria Ferrer, and continues to oversee the winery as devotedly as if it were her own family business. Superior de Administración y Dirección de Empresas University (ESADE). Armed with this education, she has lent her astute intelligence and dynamic energy to every job she undertakes. She is instrumental in fostering the Catalonian traditions through every facet of Gloria Ferrer, infusing the company culture with her own casual elegance, quick wit,and enthusiasm. Bertran is equally involved in her local wine community. A past-president of the Sonoma County Vintners, she remains an active member in the association. She also served as president of the Sonoma Valley Vintners and Growers Board of Directors and for many years on the Board of Carneros Wine Alliance. Away from work, Bertran complements her love of food and wine with her zeal for skiing, biking, yoga, and swimming.Having studied with the famous Catalan Chef Montserrat Segui,she enjoys preparing traditional Catalan dishes inspired by her grandmother,Teresa,for her husband, David, and their sons, Paul and Jack. Jean-Charles leads the family firm with passionate commitment to fine wine, history, quality and a deep respect for the environment. He implemented organic and Biodynamic farming at all of the family’s estate vineyards in Burgundy and California. Together with his sister Nathalie, he created Domaine de la Vougeraie, uniting the family’s Burgundy vineyards, including prestigious monopoles such as the Vougeot 1er Cru Clos Blanc de Vougeot – planted in 1110 by the Cistercian monks, into one of Burgundy’s leading domaines. He instituted the concept of “viniculteur”, redefining the company’s traditional role to encompass a close and active interest in all aspects of winegrowing to ensure premium quality and sustainable farming practices. He refashioned and elevated the family’s founding winery bearing his father’s name – Jean-Claude Boisset – into a premier boutique vigneron in the Cotes de Nuits. Decanter magazine has included him on its “Power List” of the fifty most important people in the wine world each year of its publication since 2007; in March 2008, he received the Meininger’s International Wine Entrepreneur of the Year; and in December 2008, he was named “Innovator of the Year” by Wine Enthusiast Magazine. The French America Foundation awarded him their first-ever French-American Partnership Award in 2013, bestowed upon an extraordinary individual or organization that has contributed to creating a strong and enduring French-American partnership in business, government, or academia. Haute Living Magazine named him to the Haute List San Francisco, recognizing the 100 most influential people in the San Francisco Bay Area. JFK University in Concord, CA named he and his wife, Gina Gallo-Boisset, their 2014 “Entrepreneur’s of the Year” in an awards ceremony on May 16, 2014. He was honored with the 2014 Jefferson Award by the Pennsylvania Academy of Fine Arts, which celebrates the museum’s historical connection with Thomas Jefferson and his renowned love of fine wine. In 1999, Erich worked as a harvest lab technician at Arrowood Vineyards and Winery, a position that extended into Assistant Enologist through 2002. Erich left Arrowood in January of 2003 to become the Winemaker for Audelssa Estate Winery in Glen Ellen, a position he continues to hold today. Erich also spent two vintages as Winemaker for Hop Kiln Winery and has consulted on various winery projects in Sonoma and Mendocino throughout his winemaking career. When Erich takes time away from winemaking and the vineyards, you can usually find him on the golf course or in his kitchen cooking up French and Italian country classics for his friends and family. Bill Canihan works closely with consulting winemaker Alajandro Beloz to craft his small allotments of premium Pinot Noir, Syrah and Cabernet Franc from his small family vineyards in Sonoma Valley. His methods showcase the extraordinary fruit from his cool-climate site and the response his wines continue to receive is nothing short of impressive. Canihan studied business while at UOP and in his free time enjoyed ski racing (he actually almost made the Olympic Team and for three seasons raced on the Pro Circuit). After college, Canihan joined two San Francisco-based wine tasting groups, the Vintners Club, and Friends of the Grape (FOG) where he focused on the details of his favorite producers, such as Rochioli and Williams Selyem, and used them as guides in his own production. Phil Coturri, a pioneer of organic viticulture, has been overseeing the Kamen Estate vineyards since Robert Kamen purchased the property in l980. Phil is a highly regarded Viticulturist with over thirty-five years experience with top quality northern California vineyards. If you ask him, Phil Coturri might quote a Levon Helm song and describe himself as a “poor old dirt farmer”. However, after 35 years pioneering organic and biodynamic winegrowing in California descriptions range from “famed organic viticulturalist” by the Hollywood Reporter to “the ubiquitous wizard of sustainable winemaking” by Sonoma Magazine. He was born with the cultural palate of Italian immigrants, weaned on the music and ethos of San Francisco in the 1960’s and planted deep into the rocky hillsides of Sonoma Valley. A grower at heart, Ram’s Gate Winemaker Jeff Gaffner is most content in the vineyard. He believes that wine is made there and focuses a great deal of his energy in the vineyards during the growing season to ensure balance and flavor, bringing the best possible fruit to cellar. With more than 30-years of experience as both a grower and winemaker in Sonoma, Gaffner has developed longstanding relationships and recognition as a highly sought-after consulting winemaker. His first collaboration with Ram’s Gate Proprietor Jeff O’Neill began 15-years ago, and O’Neill, impressed by Gaffner’s depth of knowledge and belief that only great vineyards produce truly great wines, knew Gaffner was the obvious choice to lead Ram’s Gate’s mission: to produce the region’s finest single vineyard designate Chardonnays and Pinot Noirs. Rob utilizes more than a dozen years of experience in multiple wine growing areas of California as he not only directs day-to-day vineyard activities, but also strategizes and long-term plans for Price Family Vineyards. Mark Herold has a degree in Biological Sciences from the University of California, Irvine and a Doctorate in Ecology from the University of California, Davis and is highly regarded for his relentless and uncompromising pursuit of excellence in winemaking. As a winegrower, his conservationist approach is one in which the vineyard is the single most important factor influencing wine quality. His goal at Kamen Estate is to fully express the character of the vineyard while producing intense, complex and balanced terroir-driven wines. Kevin Holt crafts Beltane Ranch’s Sauvignon Blanc and Zinfandel to reflect the property’s authenticity and rustic elegance. Under his supervision, the grapes are allowed to mature until they develop the desired flavors, then are whole cluster pressed and cold soaked in stainless tanks to protect the juice. Holt uses a combination of new and neutral oak barrels to add a hint of spiciness to the bright, intensely flavored wine. Holt honed his skills at MacRostie Vineyards in Sonoma, Artesa in Napa, Testarossa Vineyards in Los Gatos, Quivira Vineyards in Healdsburg and before joining Beltane Ranch. Growing up in a city housing project in the Bronx and earning a Ph.D in American Studies from the University of Pennsylvania, Robert believes everything happens for a reason, and yet nothing in his life was ever planned. His screenwriting career started quickly with the unexpected sale of his first screenplay. While visiting friends in Sonoma to celebrate this success, he happened upon the 280 acre property. After falling in love with the view, he purchased what is now his vineyard estate and the muse for his bottled screenplay – Kamen Estate Wines. Robert has enjoyed an uninterrupted film career with over twenty of his screenplays becoming major motion pictures, among them: Taps, The Karate Kid series, Fifth Element, The Professional, Transporter series, A Walk in the Clouds, Lethal Weapon III, Taken and Taken II. When he is not occupying seat 6A of American Airlines travelling for his films or the wines he produces, visitors often find him at his desk in Sonoma working on future film scripts or worrying about the weather. I have approached winemaking from a very strong foundation in the vineyard. I grew up in the vineyards here in California, learning to prune, drive tractors and turn on wind machines to ward of frost, at an early age. I think more winemakers should own a well worn pair of pruning shears. Winemaking is at its core, an extension of farming. In 2008 I left Hudson Vineyards and the Napa Valley, and moved to northern Sonoma county to join Kistler Vineyards as assistant winemaker where my time is split between the vineyards and the winery. In the summer of 2014 I was named winemaker there. In his ten years at Stonyridge, Martin carved a reputation of consistent excellence producing world-renowned Bordeaux blends, most notably Stonyridge Larose, as well as some of the country’s best Syrah and Malbec. The 2008 vintage, Martins last at Stonyridge, resulted in a 95 point wine in Wine Advocate, a stunning result for a New Zealand Cabernet. While at Stonyridge, Martin met his future wife, a California sweet heart who proved to be the catalyst for their move to California. Martin had long considered California to be the most exciting red wine region in the world. Having now completed three vintages at Petroni Vineyards, his passion and commitment to quality are ideally suited to the continued production and improvement of the outstanding red wines of Petroni Vineyards. Director of all Ram’s Gate operations since our launch in 2011, David has a passion for wine and a penchant for detail. He comes to Ram’s Gate with a wealth of hospitality experience, having begun his restaurant tenure at the ripe age of 13. His knack for delivering gracious service led him to manage some of the best hotels and resorts across the United States, including The Lodge at Pebble Beach, Inn at Spanish Bay and Hualalai Resort. Even before mastering the art of management, David was surrounded by wine. First gaining a reverential appreciation for the vins de pays of the South of France, he and his wife began crafting their own wines at home, and have continued to do so for years. Meanwhile, David spends his days honing every element of Ram’s Gate Winery to create a delightful experience for each and every guest. What would four friends who are passionate about wine, architecture, design and food do with prime real estate right at the gateway to the Sonoma Valley? Ram’s Gate is the answer. Owner of O’Neill Vintners & Distillers and one of the industry’s most successful entrepreneurs, Jeff has worked in wine for most of his life and is a former Chair of the California Wine Institute. Naturally charming and gracious with an impeccable eye for design, O’Neill is blessed with an eagle’s eye for detail and an instinctive flair for design, and he believes that the setting in which you enjoy exceptional wines should equal the quality of the wine in the glass. Those traits, combined with his passion for the very best in wine, food and hospitality, make him the perfect individual to realize every single aspect of this project, from the ground up. During his early career as a medical researcher, Joel made extra money through wine writing and consulting. Eventually it dawned on him that he had the background (not to mention strong opinions and the confidence to stick by them) to be an actual winemaker. He apprenticed with Joseph Swan — one of California’s outstanding craftsmen of fine Zinfandel — to learn the art of traditional winemaking as practiced in Bordeaux and Burgundy. “From Joe, I learned to pick grapes by taste and to farm for less fruit, not more. That using wild yeasts may be tricky, but makes for more interesting wines. To ferment long and warm, and age in French oak.” Ravenswood still uses these same basic techniques to make its wines today. “Three Sticks” refers to the three Roman numerals that follow Founder and Principal Bill Price’s written name. He was known as “Billy Three Sticks” growing up surfing in Hawaii, where the young Price attended high school. As he describes his path from seawater to wine in a calm, steady voice, it’s hard to guess that this is the same man who spent much of the last 30 years in corporate board rooms. Rather, it seems only natural that Price would trade in a thriving business career for a life among the vines, and that the father of three would wax poetic on the importance of leaving the world a better place for generations to come—whether through sustainable vineyard and winery practices, or through his nonprofit work. Born in Los Angeles, Price was introduced to wine at an early age by his father, who was born in France, and would give him thimble-sized tastes of wine mixed into a glass of water. Price remembers playing ball against the wall of the Louis M. Martini Winery in St. Helena, bored and impatient, while his father, who often brought his son along on sojourns to Napa and Sonoma wine country, tasted wine inside the winery. Price attended high school in Hawaii before returning to California to study at Stanford University. He earned his law degree from the University of California Berkeley’s Boalt Hall School of Law, and following 10 years practicing law and also consulting at Bain & Company, he was hired to work for Jack Welch at GE Capital. In 1992, Price co-founded Texas Pacific Group (TPG), a private equity firm, with two partners. TPG invested in companies as large and diverse as J. Crew, Burger King, Continental Airlines, and Petco. In 1995, TPG purchased Beringer. “That’s when I was really introduced to the wine business,” says Price. The company continued to invest in wineries, including Chateau St. Jean., which sourced grapes for some of its wines from the Durell Vineyard in Sonoma. It was then that Price began to take a more active interest not just in the business of wine, but in vineyards as well. He purchased the Durell Vineyard in 1998, and launched Three Sticks Wines in 2002. In 2007, he sold his share of TPG back to his partners, and entered the wine business full-stop. He was soon approached by Steve Kistler to partner with him in his vineyards, and Price’s role as a farmer began to grow. “I realized I’d made all the money I needed to make in my career, and I longed to return to something that brought me back in touch with the natural world on a more regular basis,” says Price. Price is the proprietor of Classic Wines, LLC and Price Family Vineyards, LLC—including ownership and management of Sonoma Coast vineyards including Durell, 111 Wilson Vineyard, DuPont Vineyard, One Sky Vineyard and Gap’s Crown Vineyard. Classic Wines also has ownership interests in Kistler Vineyards, Buccella, Three Sticks, Lutum and Head High. Price is chairman of Gary Farrell Winery. Price’s business strategy is to work with winemakers who have their own individual style of winemaking and who maintain that vision with each vintage and with each piece of land. He believes that this commitment to a specific style lets one perfect their identity as a winemaker while also allowing them to stand out in the marketplace. Price sees his family vineyards and winery investments as something he can share with his children someday. Already, his two eldest children, both now following his footsteps at Stanford, have wines named for them: “The James” from Three Sticks, and a “Natalie” Cuvee from Kistler. Soon, Price says, he’ll introduce a wine in honor of his youngest daughter, Alana. Price is also an active philanthropist, and holds positions as Chairman of the Gladstone Foundation, which serves as the fundraising arm of the Gladstone Institutes, a leading organization in the research and development of solutions to widespread disease; and as Chair of Common Sense Media, which rates, advocates and educates families and schools on media and technology for kids. Price resides in Marin County with his family, and strives to get in at least 30 days of surfing per year. Growing up in Northern California, it isn’t too hard to understand why Ryan fell in love with wine. But it was while he was 3,000 miles away while in college at Cornell University that his passion took off. While in his senior year, Ryan took a class, HADM 430 – Introduction to Wines, where every week he would learn about and taste wines from different regions from around the world. Needless to say this was an eye-opening experience. After graduating from Cornell, Ryan spent some years working at the management consulting firm, Accenture, and then at the luxury destination club, Exclusive Resorts. During this time, Ryan was able to build his appreciation for wine and travel to many of the best wine regions of the world. But Ryan’s interest was not satisfied by just tasting great wines. He wanted to make them. While still working full time, he worked with family friends in Anderson Valley during crush and then after moving to Boulder, CO, he worked harvests at Boulder Creek Winery. Also while in Colorado, Ryan enrolled in and completed the UC Davis Certificate Program in Winemaking. It was during this course when Ryan decided for good that he would pursue winemaking as a career. Ryan and his wife moved back to California and Ryan joined on to work with Bob Cabral at Williams Selyem making world-class Pinot noir and Chardonnay. At Williams Selyem, Ryan was able to see how working with great vineyards along with a meticulous winemaking style can produce inspiring results. Next, Ryan worked at Copain Custom Crush (now called Punchdown Cellars) where he had the opportunity to work directly with dozens of winemakers of high-end boutique brands. Most recently, Ryan was the Assistant Winemaker at Medlock Ames winery where he worked to craft artisanal and sustainably-farmed wines in Healdsburg, CA. As Associate Winemaker of Three Sticks Wines, Ryan is excited about crafting wines with character and finesse that showcase our unique vineyard sites. Steve Sangiacomo is a third generation partner at Sangiacomo Family Vineyards, located in Sonoma, California where his family has farmed since 1927. He grew up on the ranch and began learning the ropes from his father and extended family at a young age. As far back as he can remember, he clamored to tag along with his father and uncles during early morning frost protection after which he enjoyed a special treat — doughnuts. He took to the fields early and recalls jumping off a tractor to race to seventh grade orientation. In his early 20s he began learning the family business from the ground up and in his 30s he and his brother Mike took over the reins. Today Steve shares responsibility with his brother for managing the family’s 1600 acres of vineyards as well as grape sales to more than 70 premium wineries, many of whom vineyard-designate their wines with the Sangiacomo name. He flat out loves his job, particularly the wide variety of responsibilities spanning the agricultural, strategic, and operational aspects of the business. He has lived his entire life in Sonoma Valley with the exception of his college years at St. Mary’s where he studied business and economics and an internship at the Xerox Corporation. He never wavered, however, in his desire to return to the ranch. 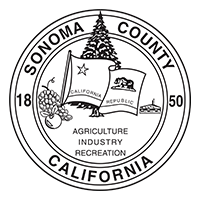 Steve is a board member and former chair of the Sonoma County Winegrape Commission where he has taken a lead role in its sustainability initiative. He is a former chair and board member of the Carneros Wine Alliance and also serves on the Development Committee of the Sonoma Valley Education Foundation. He was selected as a North Bay Business Journal “Forty under 40” award recipient in 2013. A natural athlete, he calls upon his earlier experience as a high school basketball, football and baseball player as well as college football to serve as a volunteer coach. He was an Assistant Football coach at Sonoma Valley High School for fifteen years and today coaches Little League baseball and CYO basketball. Steve lives in Sonoma with his wife, Connie, and their sons Drew and Sam. When not in the vineyards or spending time with his family, he enjoys playing golf and basketball. Greg Stach is renowned for crafting elegant, world-class vintages. Stach’s winemaking approach combines traditional techniques with a “less is more” philosophy. Believing that great wine begins in the vineyard, he intervenes only to ensure consistency and quality, relying more on the fruit’s intense flavors and distinct vineyard characteristics. Chris began working with Durell Vineyard in 2006 and partnered with Ellie in the launch of Dunstan Wines in 2008, with a focus on direct-to-consumer and national sales. After completing the Winemaker’s certificate course at UC Davis, he has worked closely with winemaker Kenneth Juhasz to craft exceptional wines for Dunstan. Chris’ love of wine and technology joined together in 2011 with the launch of VineSpring, which provides affordable eCommerce solutions for wineries. DunstanWines.com runs on the VineSpring platform. Ellie is a California native with a love for fine wines. She studied English literature at UC Berkeley, then Viticulture and Enology at UC Davis. A mother of two children, she is an avid equestrian and active supporter of animal welfare and environmental preservation initiatives. As a steward of the historic Durell Vineyard, Ellie embraces farming practices that are respectful of the land, water, and animal life there as well as those that maintain natural balances throughout the property. From vineyard to glass, our winemaker Margo Van Staaveren takes a hands on approach, working closely with her winemaking team to oversee each step of the winemaking process. She celebrated her 35th harvest at Chateau St. Jean in 2014, and her attention to detail ensures that the signature of the vineyard is captured in every bottle. Like the founders of Chateau St. Jean, Margo firmly believes that great wines are grown – not made. Vineyard designated wines have been the foundation of our portfolio since the early 1970s, and Margo has been instrumental in ensuring the vineyards selected for these wines consistently product exceptional varietal character. She has also guided the icon Cing Cépages bottling since its first release in 1990. The art of blending is the cornerstone of Margo’s winemaking philosophy. To her, it is a great accomplishment to create a signature wine style or blend that can achieve consistency from vintage to vintage while still capturing the unique personality of a particular growing year. One of the things she enjoys most about her job is putting together the final blend for the Reserve wines. These blends represent the most concentrated, distinctive and balanced wines made at Chateau St. Jean.eu, blandit sed, blandit a, eros. I grew up on a farm in Washington state. That’s where I learned about growing fruit. I loved it, but Dad encouraged me to go on to college where I became an Engineer. I worked for Shell Oil Co. for four years but the entrepreneurial bug that bit my dad also got me and I soon started an energy company during which time I traveled the globe. The world’s greatest restaurants and wineries became my classroom for learning about the most interesting and alluring fruit of all – the wine grape. The farming gene was still strong and the more I learned the more certain I became that I needed my own vineyards. And so the search began. I visited all the greatest wine growing regions, here and abroad, to find that special site where I could pursue the dream of wine growing. It was this mountainside in Sonoma that captured my heart. It’s here, in these vineyards that I can engage in the process, gain knowledge and pursue perfection. I continue this research with regular trips to the finest growing regions in the world – because for me, learning what it takes to make stellar wine, and sharing the results is the true path to good life. Winemaker Randall Watkins grew up on a vineyard in the foothills of Taylor Mountain in Sonoma County. After receiving his bachelor’s degree from UC Davis, he worked briefly for a management consulting firm in San Francisco before feeling the call of wine country. He went to work in cellars and labs in Sonoma County and in Chile, rising to assistant winemaker at S. Anderson Vineyards in Napa. Randall then returned to UC Davis for a master’s degree in enology. He went on to produce highly regarded wines at Moon Mountain Vineyard as Winemaker and General Manager before coming to Laurel Glen Vineyard in 2011. Twenty five acres of rocky volcanic soils are planted to Sauvignon Blanc, Zinfandel, Petite Sirah, Carignane and Alicante Bouschet vines.